Astonishing X-Men is the newest title as part of Marvels ResurXion relaunch of the X-Men, an initiative to bring back the X-Men to their former glory. How good of a job does the first Volume of the series do and what essential X-character makes his long awaited return in it? 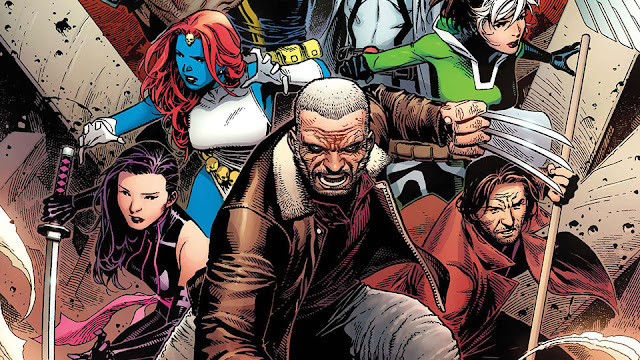 Astonishing X-men is the third team book right now alongside X-Men Gold, starring classic X-Men lead by Kitty Pryde, and X-Men Blue, where the team consists of the younger, time displaced original five X-Men. Now in Astonishing's first Volume "Life of X" the team is made up of Psylocke, Old Man Logan, Bishop, Archangel, Fantomex, Rogue and Gambit. The story is really good. The Shadow King is back and is trying to break out of the Astral Plane to take over the world (I assume that's his goal). Psylocke sends Logan, Fantomex, Rogue and Gambit to the Astral Plane to stop the Shadow King. While they are in their the Shadow King tries to get control of their minds by letting them experienced all their deepest fears and desires. Writer Charles Soule does a really great job with the characterization, dialogue and overall pacing. In my opinion he is the best X-Men writer currently and he had a good handle on the characters distinctive voices. Now the art in this book is also really fantastic, if you don't mind a different artist for every issue. I understand if an artist can't catch up and they use a fill-in artist but why they chose to use a different one for each issue escapes me. I would have preferred one artist for the whole story but that's just me. So not only is the Shadow King hanging out in the Astral Plane, we also learn that Professor Xavier, who we all thought was dead, is being held captive there by the Shadow King. While the X-Men are in the Astral Plane both have a psychic battle and eventually Xavier outsmarts the Shadow King. In the end Xavier transfers his consciousness into Fantomexe's body and this way can leave the Astral Plane. So he's back, but in someone else's body. to see how Xaviers return plays out over the coming months. He has been gone for quite a while in comic book time. I didn't think it would take Marvel so long to bring him back but am excited to see where the story goes from here. Wow! 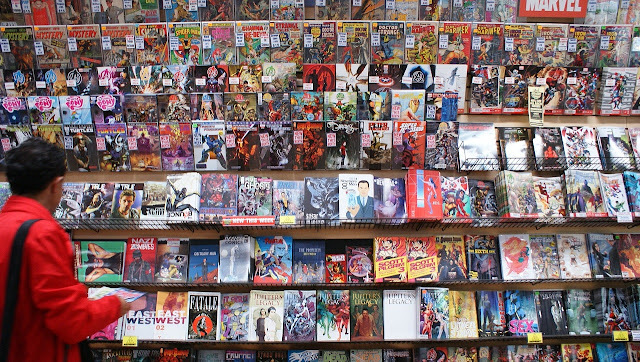 I guess I need to get back into comics- this sounds great! Copyright © 2018 - 2019 Millennial Words - All Rights Reserved. Powered by Blogger.